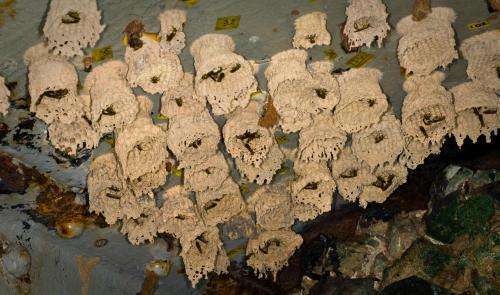 Researchers at Queen Mary University of London in collaboration with the University of Florence, have discovered that a species of tropical wasps can memorize the faces of members of their colony and will attack any individual with an unfamiliar face. 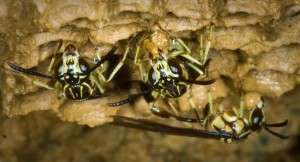 These wasps can also recognize the smell of their nestmates, but pay more attention to the unique facial patterns in their species when considering whether an individual is friend or foe. Dr David Baracchi, research fellow at QMUL and one the paper's authors, said: "These wasps can use both face recognition and scent to determine whether another wasp is friend or foe. Unfortunately neither sight nor smell is infallible so they appear to not take any chances and attack anyone whose face they don't recognise." Prof Lars Chittka, another author of the study, commented: "These findings about individual face recognition in wasps add to a number of recent discoveries about the remarkable behavioural and cognitive sophistication in the tiny-brained social insects".